Soon, the associates Gotthilf and Wilhelm Martin left the company. Then, Fritz Martin took over the shares of his brothers. Managing Director of Gebrüder Martin was Rudolf Buck, who also took the initiative to merge other Tuttlingen based companies in the medical technology sector and to transform them from competition into a cooperation. The vision that every shareholder of the group takes over part of the production program took shape. Soon after the merger, Fritz Martin sold his shares to the other shareholders. The company name Gebrüder Martin, which is now well-known in international markets, is being continued. The Second World War initially stopped the further development. A company building was completely destroyed in 1945 and the situation forced the employees to work in emergency quarters. In the 1950s, new catalogs were published, and new product lines were also included in the program. Through its participation in international trade fairs and through worldwide marketing activities, the company established itself internationally. A new sales building was built in Ludwigstaler Str. 132 in Tuttlingen where Gebrüder Martin moved into in 1981. Stuckenbrock Medizintechnik GmbH was founded. Gebrüder Berchtold company left the group. The company shares were transferred to Trumpf GmbH + Co. KG, Ditzingen, Germany, and Fritz Hüttinger Medizintechnik GmbH + Co. KG, Freiburg, Germany. The two companies were now additional shareholders of Gebrüder Martin. Stuckenbrock Medizintechnik GmbH bought the shareholder company H. + H. Handte GmbH & Co. KG and took over their company shares in Gebrüder Martin. The shareholder companies Karl Vögele Medizintechnik GmbH and Stuckenbrock Medizintechnik GmbH were merged. The companiy shares of Ueth & Haug GmbH in Gebrüder Martin were purchased by Karl Leibinger Medizintechnik GmbH & Co. KG and merged with it. Stuckenbrock Medizintechnik GmbH bought the company shares of Josef Heiß OHG in Gebrüder Martin. The company shares of Trumpf GmbH + Co. KG of Gebrüder Martin were taken over by Karl Leibinger Medizintechnik GmbH & Co. KG and merged with it. The company Fritz Hüttinger Medizintechnik GmbH + Co. KG was renamed to Trumpf Medizin Systeme GmbH + Co. KG. After this, the company shares were taken over by Karl Leibinger Medizintechnik GmbH & Co. KG and another change of name into KLS Martin GmbH + Co. KG was performed. Today, the company specializes in high-frequency and laser devices. The name KLS Martin Group was introduced as a umbrella brand. 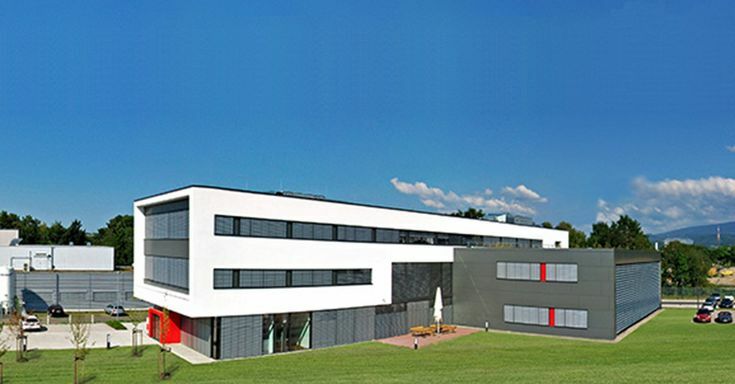 KLS Martin GmbH + Co. KG moved from Umkirch to a new company building in Freiburg. 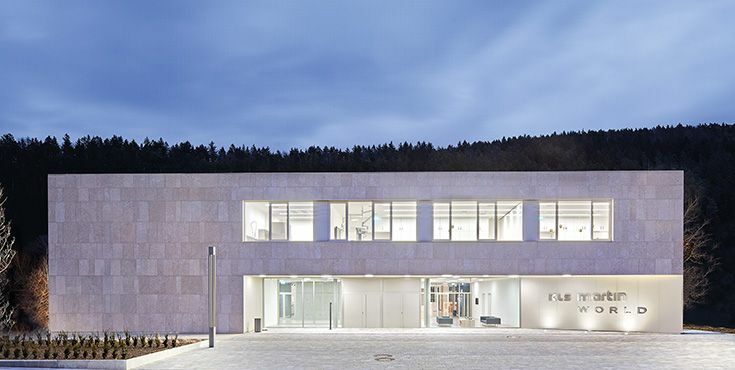 On January 20th, 2016, the visitor center KLS Martin WORLD was opened in Tuttlingen. Karl Leibinger Medizintechnik GmbH & Co. KG achieves the second place in a study by Focus magazine on fairness at work within the medical technology sector. 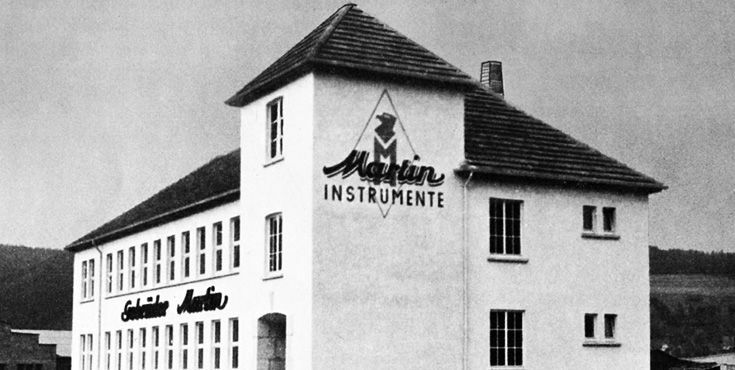 The first subsidiary Martin Italia S.r.l. based in Milan, Italy, started its operations. 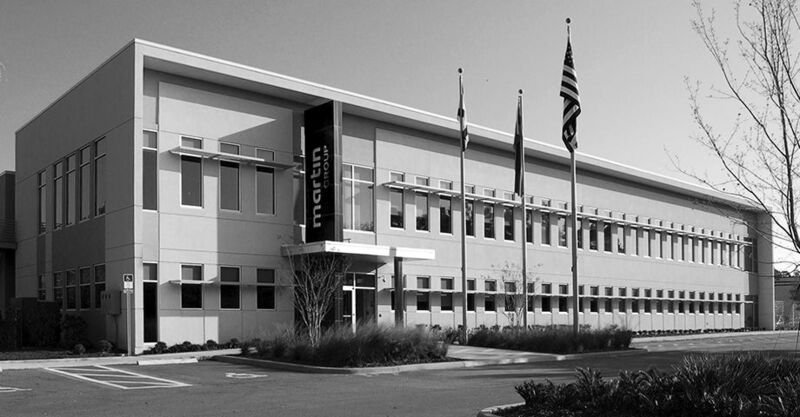 Karl Leibinger Medizintechnik founded KLS Martin L.P. in Jacksonville (Florida), which now sells specialty products for craniomaxillofacial surgery, plastic surgery and neurosurgery in North America. Business contacts with Japan had existed since the 1950s. In 1995, Nippon Martin K.K. established a subsidiary in Tokyo. In the same year, the subsidiary Martin Nederland/Marned B.V. in Huizen near Amsterdam went to the start. In the course of the further expansion, the new warehousing center in Tuttlingen was established. A representative office in Moscow was opened. A representative office was opened in Shanghai. A representative office was opened in Dubai. In the UK, in the center of Reading, the subsidiary KLS Martin UK Ltd. was founded. New subsidiaries were established in Malaysia (KLS Martin SE Asia Sdn Bhd. ), Brazil (KLS Martin do Brasil Ltda.) and in the Sydney metropolitan area (KLS Martin Australia Pty Limited). In India, the subsidiary KLS Martin India Pvt Ltd. was opened. In Penang the first production facility was opened outside Germany (KLS Martin Malaysia Sdn Bhd.). 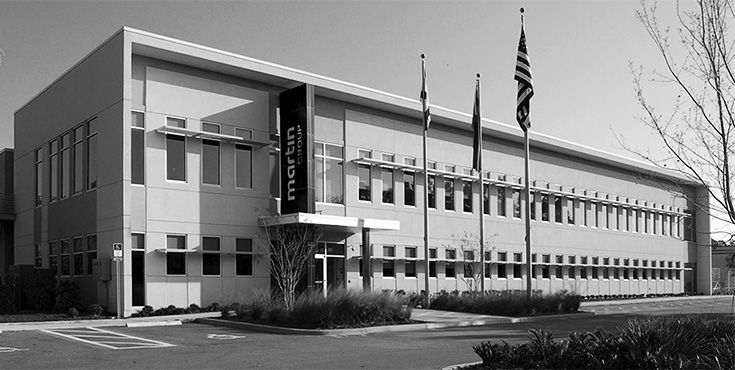 With the founding of KLS Martin Manufacturing, LLC in Jacksonville, the first production facility was built outside Germany for implants. 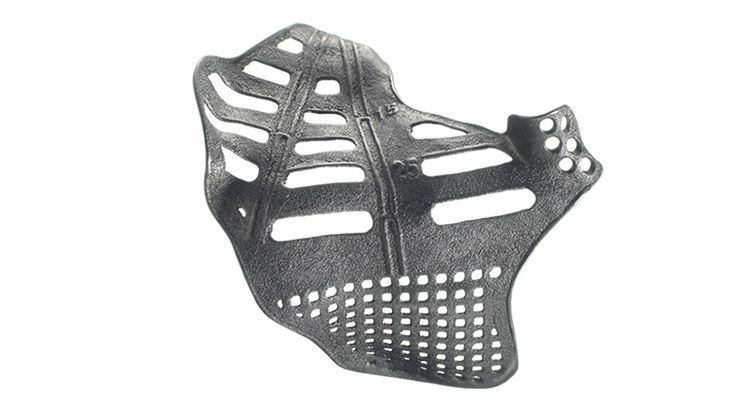 The focus is on the production of patient-specific implants by means of additive manufacturing processes. The representative office in Shanghai is being changed to a subsidiary of Gebrüder Martin – KLS Martin Medical (Shanghai) International Trading Co., Ltd.
Karl Leibinger founded the company Karl Leibinger Medizintechnik and started producing surgical instruments. Today, the family-owned enterprise is managed by the fourth and fifth generation and has developed into a manufacturer of implants, surgical instruments, sterilization containers and surgical lights. High-frequency current was used for the first time in the field of medicine. In cooperation with the Freiburg University hospital, we pioneered the manufacturing of electrosurgical devices. Over the years numerous innovations were added as this product effort grew into an essential mainstay of the Group’s portfolio. Since the company was established, surgical instruments dominated the product portfolio. 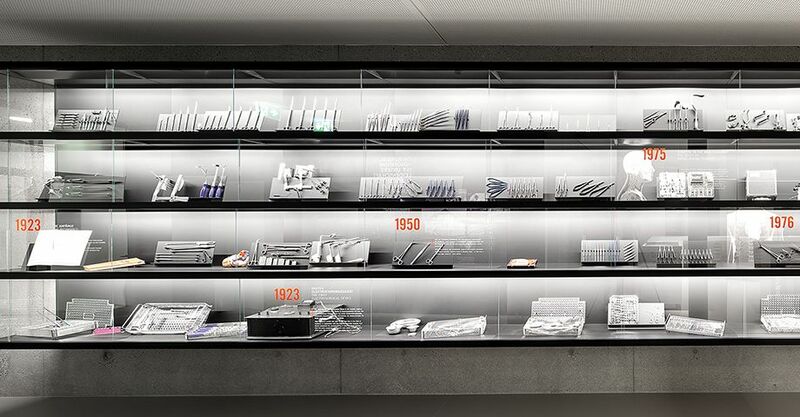 Devices made of stainless steel – at that time a cutting-edge material – were added. Together with Prof. Champy, the scientific pioneer from Strasbourg, we developed the use of miniplate osteosynthesis in maxillofacial surgery. This technique, which established the “gold standard”, constituted an important step towards helping people suffering from traumas or malformations. 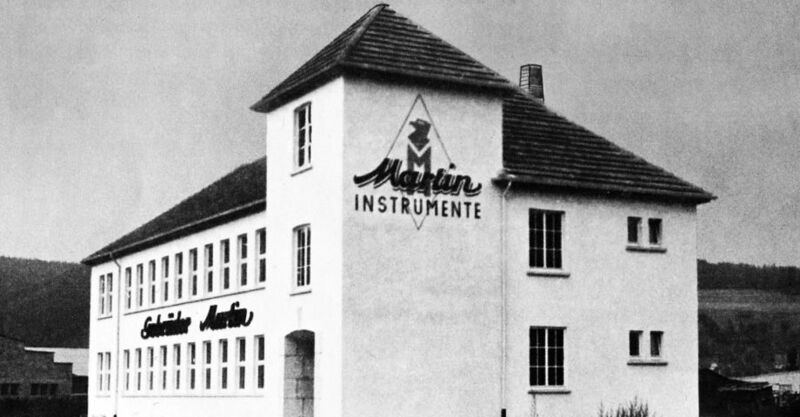 By continuously developing its atraumatic instruments, KLS Martin considerably contributed to the safety of cardiovascular surgery. For instance, the specially designed hemostats and their atraumatic working ends allow for the reliable interruption of the blood flow without crushing or damaging the vessels. 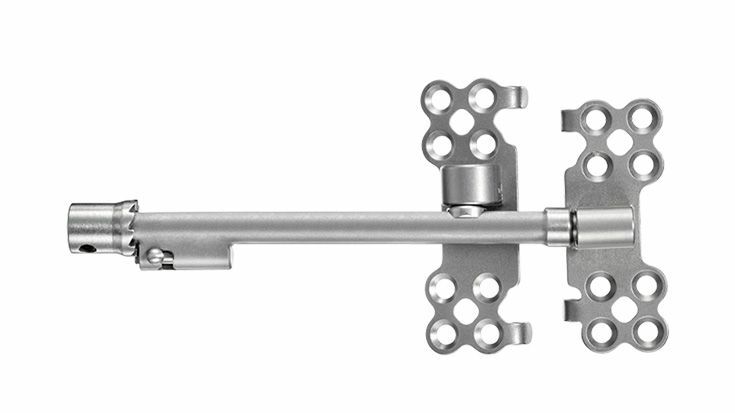 Instruments with tungsten carbide inserts were added to the product portfolio. They feature a service life substantially longer than that of inserts comprised of conventional instrument steel. To allow for easy differentiation, they are fitted with a golden ring and marketed under the name of TC Gold. KLS Martin started producing surgical and examination lights. Thanks to its outstanding photometric characteristics, the first halogen light went on to become an international bestseller just after its introduction to the market. The goal to provide medical specialists with dedicated devices and instrumentation inspired KLS Martin to establish the hand surgery program. The first milestone was the development of the Ulna Head Prosthesis, which is now a clinically proven and well-accepted product. New technologies enable modern surgical techniques. To supplement the portfolio of surgical instruments and electrosurgical devices, laser devices were added. 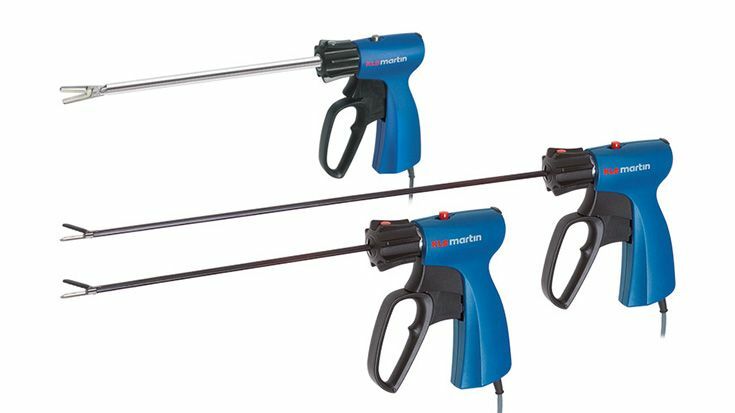 Products like the MY 30, the most compact laser of its day, were employed for contactless cutting, ablation, and hemostasis. 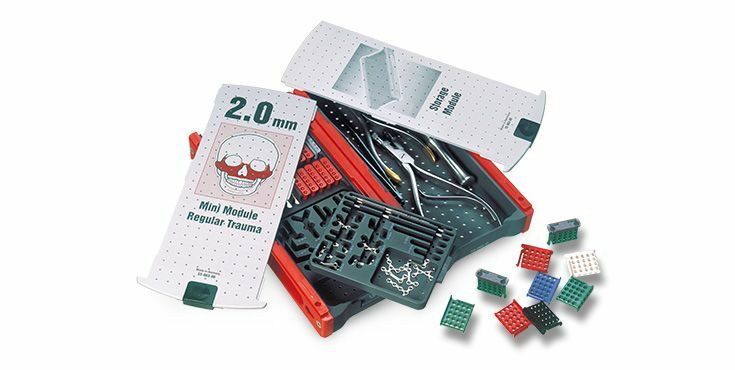 Offering the most comprehensive modular portfolio of tried and tested distraction devices for craniomaxillofacial surgery, KLS Martin is considered a market and technology leader worldwide. Both scientific findings and their proven handling in daily clinical practice are widely documented. The My 40 was the first specialty laser device for the use in lung parenchyma surgery. Its optimized wavelength allows for parenchyma- and lobe-preserving surgery. Today, the diode-pumped Nd:Yag-Laser Limax® is considered the most successful specialty laser in the world for the use in thoracic surgery. In cooperation with the renowned Fraunhofer-Institute, KLS Martin developed MicroStop® . 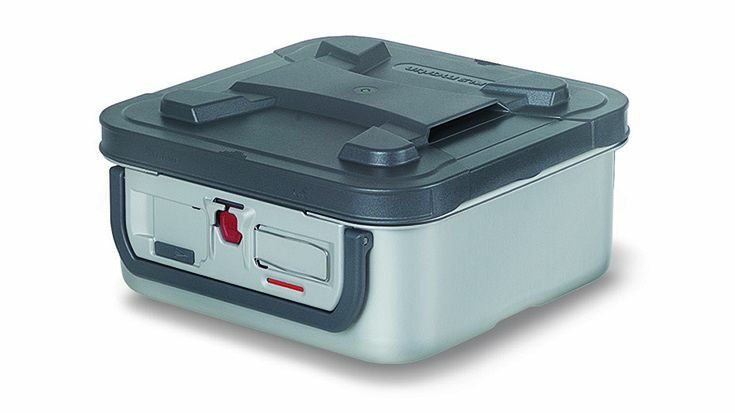 This is the first sterilization container with a reusable sterile barrier that can be fully decontaminated. Thanks to this germ barrier and its innovative indicator, it replaced the need for consumables like fillings or filters. By introducing LevelOne, KLS Martin once again set new standards in oral and maxillofacial surgery. This innovative storage system for implants, instruments, and screws is not only neat and compact, but also individually configurable and interchangeable. The electrosurgical device maXium® combined the latest highfrequency technology with an intuitive user interface. 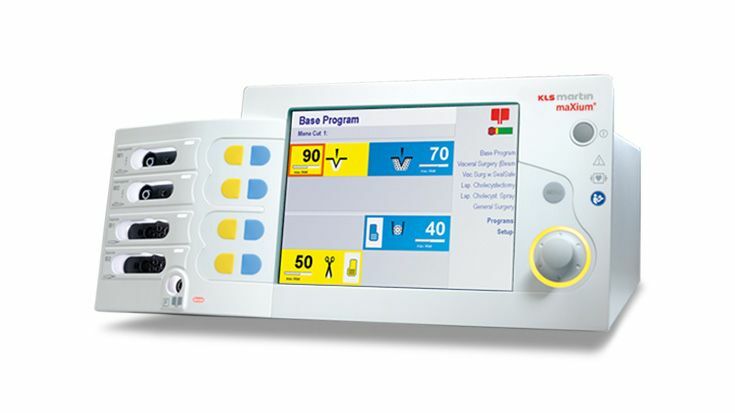 Featuring a unique combination of easy handling, excellent design, performance, and diverse special functions, it became the optimal solution for all clinical disciplines. Sealing technology enabled new, patient-friendly surgical methods: Vessels can be sealed and dissected in one step and without ligature. By marketing marSeal, KLS Martin introduced the first reusable vessel sealing device with integrated cutting function. 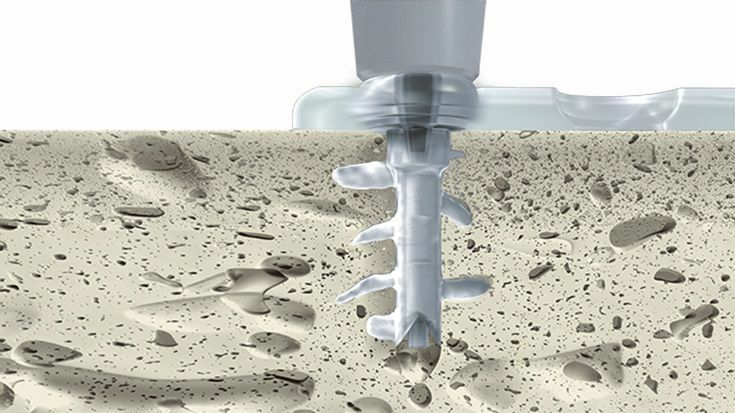 In the field of osteosynthesis, SonicWeld Rx® opened new horizons. Thanks to its welding process being supported by ultrasonic technology, the resorbable material is tightly anchored inside the bone structure. This results in a hitherto unprecedented, three-dimensional primary stability. 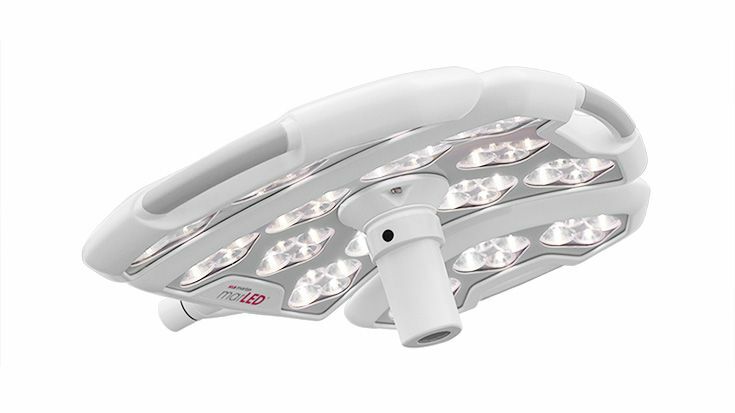 Nowadays, surgical lights using LED s to provide illumination are state-of-the-art. KLS Martin was one of the first manufacturers to apply this innovative technology. The marLED® V series still impresses with its design, which was awarded with the Focus Green Silber and the Red Dot Design Award. 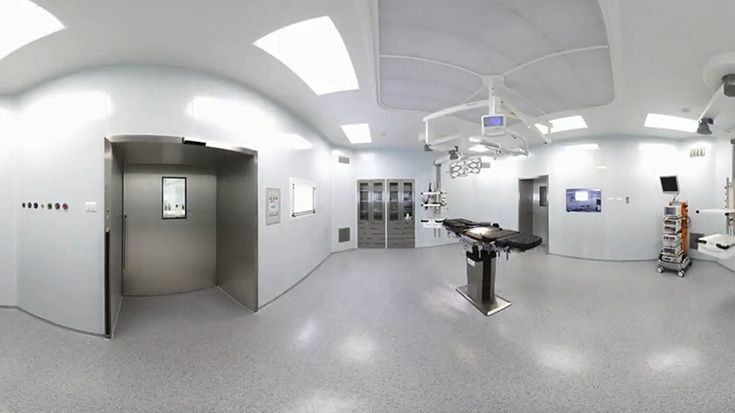 In the field of hand surgery, KLS Martin set new standards both in handling and design, offering a comprehensive portfolio of products and systems for standard as well as complex cases. With the modular concept marWorld® KLS Martin offers individual all-in-one solutions for operating rooms from a single source. This includes both equipment and consulting services throughout the complete process – from concept via planning to realization. After the latest technology in individual patient image data became widely available, KLS Martin began producing customized implants made of biocompatible materials that restore both ideal form and function to the patient. 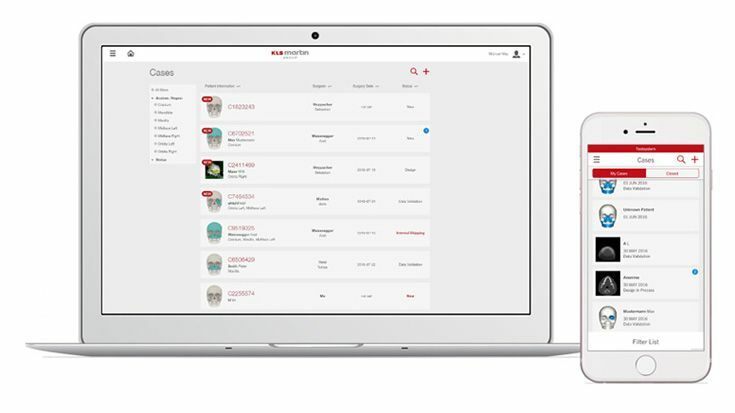 The web-based platform and App IPS Gate® safely and comfortably guides through the ordering, design, and shipping process of individually planned and produced individual patient implants and connects surgeons all over the world. 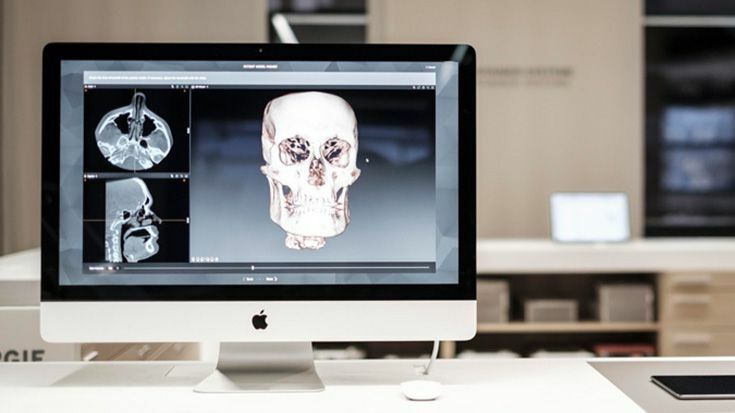 The intuitive software IPS CaseDesigner® allows the planning and simulation of surgical operations as well as the design of implants based on individual patient data.